A top-line claim in the latest U.S. government climate report is based on research funded by groups tied to Democratic donors. The new National Climate Assessment claims the U.S. economy could take a 10 percent hit from global warming. However, that claim is based on research funded by groups founded by Tom Steyer and Mike Bloomberg. It’s been repeated throughout the media: Future global warming could wipe-out one-tenth of the U.S. economy by 2100. It’s a top-line finding of a major government climate report, but it’s based on a study funded by groups affiliated with two major Democratic donors. However, NCA’s dire prediction of a 10 percent hit to U.S. GDP comes from a 2017 study supported by the charitable foundations founded by major Democratic donors. The study was also funded by other organizations, including the National Science Foundation, the U.S. Department of Energy and the Skoll Global Threats Fund. That 2017 study, published in the journal Science, was funded in part by Bloomberg Philanthropies and Next Generation, which were founded by former New York City Mayor Michael Bloomberg and San Francisco billionaire Tom Steyer, respectively. University of Colorado professor Roger Pielke, Jr. pointed out problems with the study on Twitter Saturday, including the fact it was funded by groups connected with Bloomberg and Steyer. It’s derived from a study funded by Tom Steyer et al. Bloomberg and Steyer were the biggest donors to Democratic-aligned political action groups in the 2016 election cycle, according to the Center for Responsive Politics (CRP). Bloomberg, who founded Bloomberg Philanthropies, handed nearly $60 million to liberal SuperPACs to help put Democratic candidates in office and defeat Republicans in the 2018 election cycle, according to the CRP. Steyer, who co-founded Next Generation, gave roughly $58.7 million to liberal SuperPACs, according to CRP. Bloomberg and Steyer back the Paris climate accord and Obama-era policies to phase out fossil fuels. 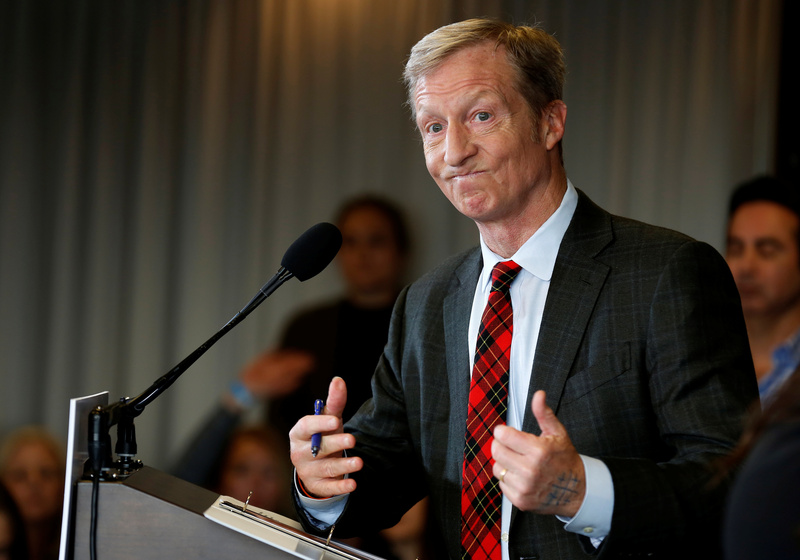 The Bloomberg-Steyer-funded study found future temperature rise could cost “roughly 1.2% of gross domestic product per [additional one degree Celsius increase] on average.” At the most extreme high-end, that could add up to 10 percent of GDP by 2100. Pielke called the use of such an extreme scenario “embarrassing” because it’s based on a future that’s 15 degrees Fahrenheit warmer — in other words, twice what the United Nations’ most extreme scenario projects. “Imagine if research funded by Exxon was sole basis for claims. Given weaknesses of the work [it’s] just [foolish] to lean on it so much,” Pielke tweeted. Major media outlets’ however, did no such examination of the NCA’s reliance on such an “outlandish” claim, as Pielke called it. 2/2 Shouldn’t such an outlandish, outlier conclusion been caught in the review process? Not a good look that sole review editor for this chapter is an alum of the Center for American Progress … which is funded by Tom Steyer. Even rudimentary attention to COI would avoided this. “All told, the report says, climate change could slash up to a tenth of gross domestic product by 2100, more than double the losses of the Great Recession a decade ago,” The New York Times reported of the NCA. Andrew Light, a distinguished senior fellow at the World Resources Institute and reviewer of the chapter highlighting the Bloomberg-Steyer-funded study did not respond to The Daily Caller News Foundation’s request for comment. Instead, Light forwarded TheDCNF’s request to the U.S. Global Change Research Program (USGCRP), which is responsible for producing the NCA. USGCRP has yet to respond to TheDCNF’s request. The NCA was put together with input from 13 federal agencies and outside scientists.